Dewy skin. For a beginner, it sounds so effortless, but it can be so hard to pull off. Do you look greasy? Is it just right? Should you powder? What are the best products? I figured today that I would give some advice on my blog as to how you can perfect the look! These three have really improved my skin and I'm definitely noticing the dullness slowly creeping away. The face mask works from the outside, and the collagen tablets make sure I have super healthy skin. They're 50% collagen and 50% vitamin c, so no nasties! I've really been loving them so far and with all three, I've definitely noticed an improvement. The eye gel from Boots is so cheap, yet really works to make sure my eyes don't get puffy. You'll want a moisturiser that isn't too heavy as you're not drying out the skin with any matte products or using anything that will cling to dry patches. I would suggest something light such as Garnier's Moisture+, which is cheap as chips, not too heavy and comes in a wide range of formulas for different skin types. I've been using Soap & Glory recently as well, which I really like, but I will always go back to my trusty Garnier. I love to use L'oreal's Lumi Magique primer as it is so dewy and light reflecting. I usually mix in a little strobe cream as well, although that step isn't really necessary. I'll use a beauty blender to press in the strobe cream or Anastasia Beverly Hills' Lustre Cream pan (It's from the contour kit in fair) onto my cheekbones and anywhere else that I would usually highlight. I will usually add Becca's Violet Colour Corrector to my cheeks, as it brightens like no other product I've ever tried. It really does create a more vibrant base for foundation and no, you won't look violet if you blend it in properly! I personally love to use a lighter foundation that has a buildable coverage so that I can target reas that need more coverage such as my cheeks without swapping using about 5 foundations! I use Rimmel Wake Me Up or Mac Mineralize. These two are very dewy and light reflecting and can be built up a little for more coverage or don't look cakey if you add a concealer on top. I will usually add BarryM's Light Reflecting concealer under my eyes, as it's the only concealer I have found that doesn't cake up. It works for me as I don't have any dark circles or eye discolouration, but if you prefer a heavier product, the USA version of the Maybelline Eye Eraser Concealer is amazing and doesn't cake or crease at all. I'll aways use the same three products to finish off my dewy look: Mac Fix+, Urban Decay Setting Spray and the Anastasia Beverly Hills Glow Kit. I really love the Glow Kit. It's become such a favourite of mine that I've actually sold my Champagne Pop on Depop and religiously use it now. I try to use powder highlighters sparingly if I'm going for a dewy look, as after using so many cream illuminators, you can end up looking like a disco ball if you shove lots of powder on top, too! Have you guys ever tried any of these products, or tried a product that 'works from within'? Let me know! I love a glow on the skin and in the summer it looks gorgeous! I love the Loreal Lumi primer it gives such a nice glow to the skin! Such a good post - I really love the dewy look, I really need to pick up the MAC Fix+! I love dewy skin, but not too crazy glowy. 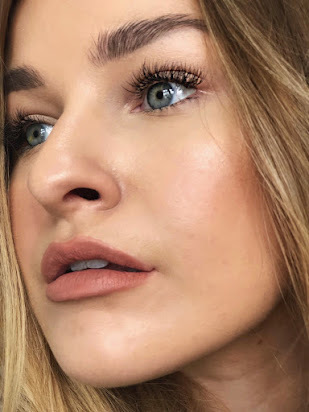 The Lumi primer is so good and that Anastasia glow kit looks stunning! I'm obsessed with MAC Strobe Cream, I also use it over the top of my foundation as a cream highlight! Bookmarking this because I love a good glow ;) I need to try a ABH Glow Kit! !